There are all sorts of places to ride your bike. You may use biking to get some fresh air around the neighborhood, skip the traffic on your way to work or take in nature like never before. The benefits that come with biking are impressive, and when you put them all together, it becomes difficult to ignore just how rewarding riding your bike can be. Many people around the country opt to ride a bike to work or on the weekends simply because it is an excellent form of exercise. Unlike an expensive gym or fitness class, riding your bike around town or at a nearby state park is free to enjoy. You can build stamina and muscle in a way that is much more exhilarating and exciting than a traditional workout. Because you can use online maps and other tools to plot your course, you can pick a route that suits your specific needs and abilities, too. A solid bicycle is one of the best investments you can make. Not only can you avoid expensive gym memberships, but you can also severely cut down on the amount of money you spend on gasoline and car repairs each month. In fact, you may even find that you don't need a car at all. Selecting the right bike gear further maximizes your savings. By opting for top of the line tires like the Schwalbe Marathon Deluxe HS 420 model, you can reliably ride your bike for many miles without incurring new costs. Over the course of a month or a year, the amount of money you can save by opting to bike can really add up. This gives biking the edge over just about any other physical activity. Although running or jogging may seem like an even easier form of free exercise, biking has the upper hand. Andy Clarke, the president of the League of American Bicyclists told Men's Fitness that riding a bike is actually less impactful on joints, knees, ankles and feet. The smooth motion of pedaling doesn't come with the same pressure that comes with even light running. This makes it a great option for older adults or anyone recovering from an injury. Your bike is the perfect companion for exploration. It becomes easy to get an intimate view of new neighborhoods in your city and to revisit places you might not have been to in years. Many communities around the country have invested in art and developed new food scenes in recent years, and your bike is a reliable and easy way to get across town. 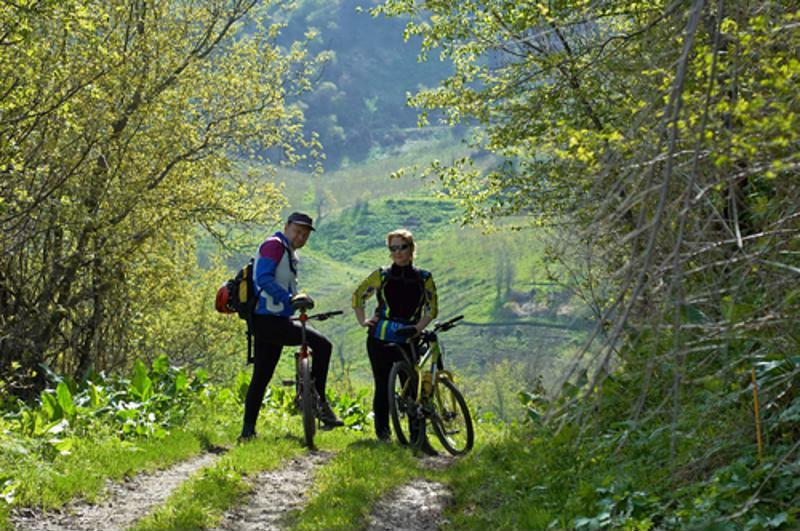 When it comes to relaxing in nature, the right bicycle is the best tool for exploring. You can cover more ground on a bike than you can walking or jogging, making it easier to take in the sights and sounds of the great outdoors more efficiently. Riding your bike gives you access to nature's best kept secrets. Cars emit carbon dioxide, sulfur and other pollutants that affect human health and the environment overall. Biking is an easy way to limit your own impact by keeping your car in the garage. Even slight changes in daily life can lead to larger benefits over time, and opting to ride your bike is just one of those simple but impactful changes. Unlike some workouts, biking is an easy activity to enjoy with friends and family members. You might bike with a co-worker to the office in the morning or organize a leisurely outing on the weekend. Likewise, there are all sorts of charity races and other opportunities to get people together and head out for a ride. Use a fitness tracker or smartphone app to chart progress and create friendly competition. More and more cities are investing in bike lanes in downtown areas and urban neighborhoods, making biking safer for all. Buses and cars can be quite imposing when riding to work, but a well-designated lane for biking alleviates those fears. The proliferation of bike rental stations is also making it easy to get out and riding. Even if your bike is in the shop, you can still catch a ride. a 5-Year Bicycle Journey Around The World!